Over the years, we were more inclined towards the traditional taxis and cabs, but with the passage of time, things began to change. Now individuals are more prone towards the app based cab. These app-based Rosemont Taxi services are very transparent and seamless. All it can be said is they are successful, towards making a positive impact amongst all and sundry. But in spite of all the advantages, there are few individuals who are still in favor of boarding the traditional cabs. As opined by few of these individuals they consider these cabs to be expensive. But this notion should change. In this particular article let us discuss a few tips and advantages of the app based cabs. They are convenient as easy to avail- These cabs are easy. Yes, it is true. 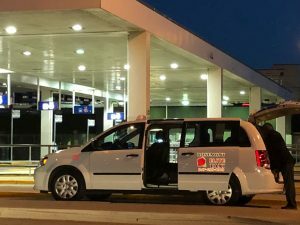 If you are in need of a taxi during the rush hours or during midnight, you won’t be getting a single one. But of course, by means of an app, these cabs can be availed anytime during the day or night. You can feel free to avail these cabs and remain safe and secured. They are driven by experienced drivers- The drivers operating these cabs are experienced and are aware of the local areas. They are perfect for you if you are a first time visitor in the city. They will let you know about the best restaurant or the best shopping centers in town. Booking these cabs is very easy- These cabs can be booked by using apps and these apps are tailored for all customers. Be it an octogenarian or a kid of eight these apps can be handled in an easy manner. 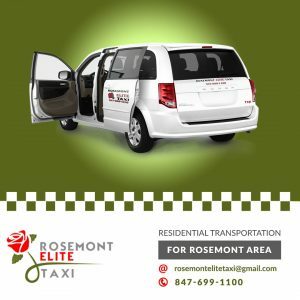 All you need to do is given faith in these Rosemont taxies and make your travel safe and secured.